The Women of Spirit of St. Louis Women’s Fund have invested over $2.2 million in the St. Louis community. 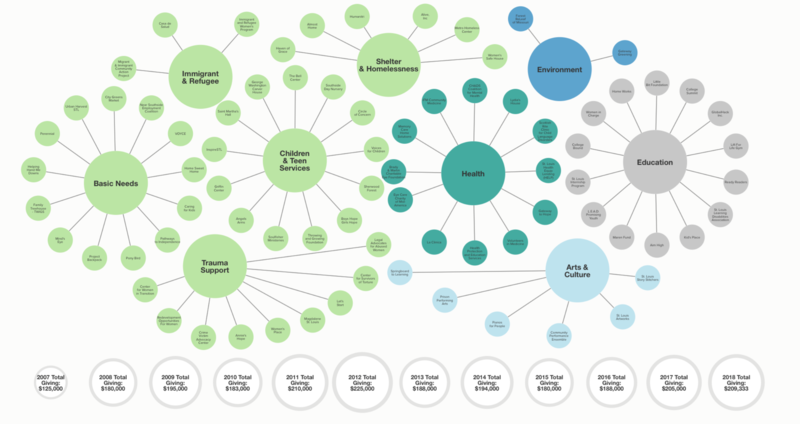 Thank you to our SOS member, Maxine Clark, and the Clark Fox Family Foundation for developing our SOS Impact Ecosystem Map. This map depicts the organizations that have received funding through the Spirit of St. Louis Women’s Fund since its beginnings in 2007. It is interactive so you can select information on a social impact category or an individual grantee.